We were ecstatic to take on this lower level remodel for one of our favorite return clients. Having already remodeled much of the upper level, we were familiar with their unique craftsman tastes and appreciation for beautiful wood work. 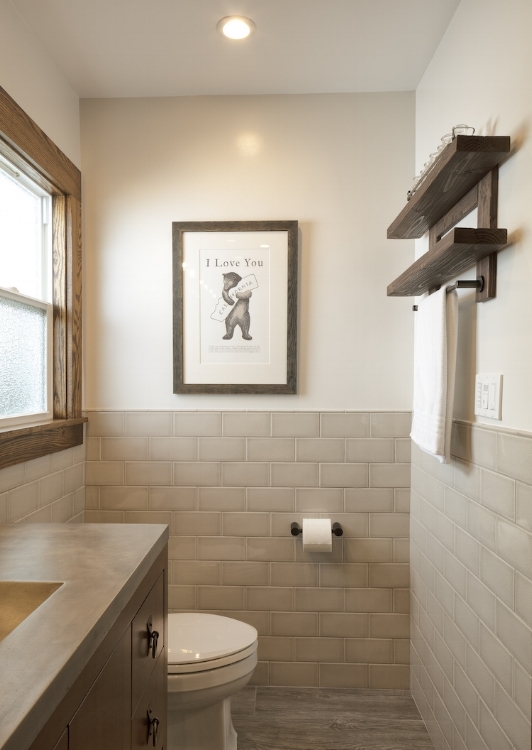 Our in-house design team re-worked the floor plan to significantly upgraded the existing lower level bathroom. 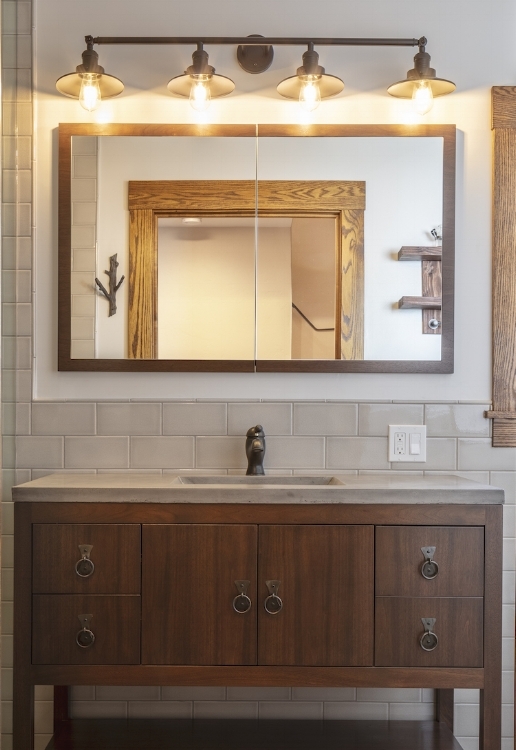 The desperately outdated bathroom was revitalized with a new vision, carefully curated to meet modern functionality and design while staying true to the whimsical "woodsy" charm of the client's personal aesthetic. 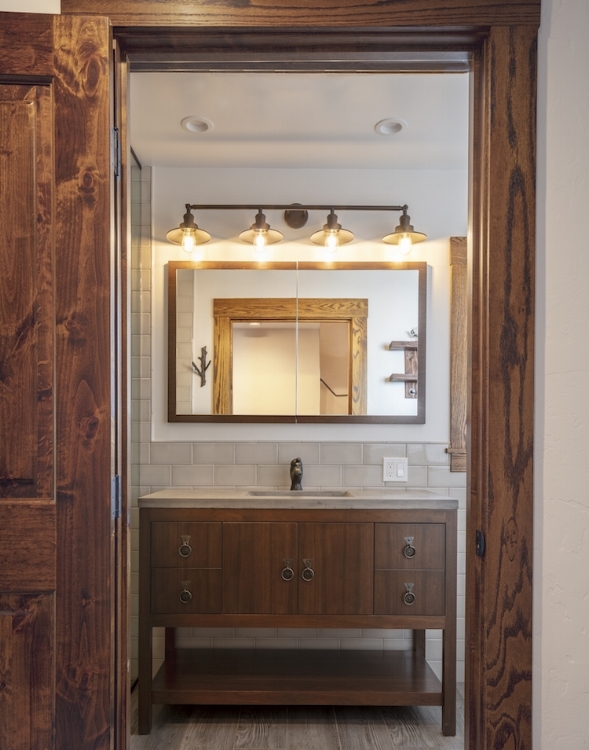 In addition to the bathroom remodel here, HDR also remodeled the whole house in the same woodsy theme. Take a look at the home remodel here.